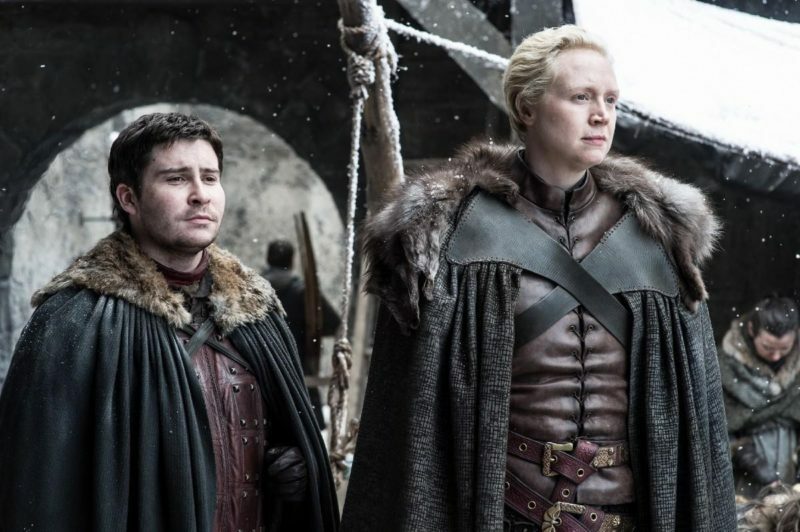 Earlier this week, I pored over the Episode 4 preview for clues, discovered Littlefinger unsheathing the Catspaw Dagger — and discussed who his intended victim likely is. I also posited that a certain person was about to arrive at Winterfell where she’ll have a much better reunion with Sansa than a Three-Eyed brother, and possibly be the person to finally take out the dastardly Petyr Baelish. to work on training another. Brienne and Arya are sparring at Winterfell! Are you cheering as loudly as I am? Now, let’s hope that after a girl has a heartfelt hug with her long-separated sister (Bran can just stare off into the distance as he is wont to do), Arya does indeed take her vengeance. The Stark girls are together again! “The Spoils of War” — which is the shortest ever Game of Thrones episode (50 minutes), airs Sunday, August 6th. 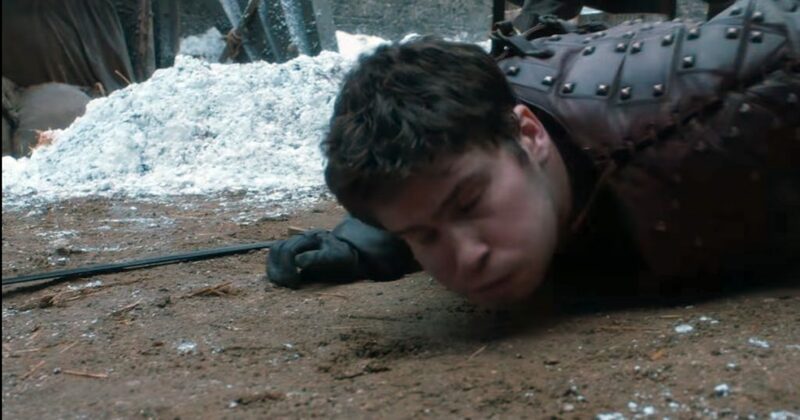 Tags: Aidan GillenArya kill LittlefingerArya StarkArya x NymeriaArya x SansaArya x Sansa reunite episode 4Baelish catspaw daggerBaelish kill BranBran Lord of WinterfellBrienne Arya sparring WinterfellCatspaw assassinCatspaw daggerDoes Arya have the catspaw dagger?Does Baelish try to kill Bran?Game of ThronesGame of Thrones S7 E4Game of Thrones S7 E4 previewGame of Thrones Season 7Game of Thrones Season 7 Episode 4 PreviewGame of Thrones The Spoils of WarJon SnowLittlefingerLittlefinger catspaw daggerMaisie WilliamsMatt ShakmanNymeriaNymeria x AryaPetyr BaelishSamSam bookSam restricted areaSansa x AryaSansa x Arya reunite episode 4Sky AtlanticSky Atlantic Game of Thrones promoThe Spoils of WarThe Spoils of War Arya at WinterfellThe Spoils of War Arya Sansa reuniteThe Spoils of War Arya x BrienneThe Spoils of War Brienne AryaValyrian steelValyrian steel daggerWho has the catspaw dagger?Who is Brienne fighting in Game of Thrones S7 E4Who is Brienne fighting in The Spoils of War?Who will kill Baelish in Game of Thrones?Who will kill Littlefinger?Will Arya kill Baelish?Will Arya kill Littlefinger?Will Nymeria kill Baelish?